Born in Dublin, Ian Henry (his professional name) started playing piano at the age of 8 years. His first teacher was his mother, a locally renowned singer and pianist, and after leaving school at 15 he started playing professionally with dance bands around Ireland. At 16 he attended Dublin’s Read School of Music and at 17 made his first radio broadcasts. At the same time he entered medical school. During term time he had a residency at the Four Provinces Ballroom and in the summer played in many Irish resorts. His early musical interests were mainly focused on jazz until he read that Charlie Parker loved the music of Claude Debussy and that Bix Beiderbecke was influenced by the work of the American composer Edward McDowell. On attending a concert of Debussy’s piano music, given by the Dutch pianist Hans Henkemans, Ian became, from that moment on, incurably hooked on classical music as well. By age 18 he was broadcasting regularly on Irish Radio and was invited to put together a quintet for the opening TV transmissions of Radio Telifis Eireann (RTE). At 20 he stopped medical school for 4 years to pursue a full-time musical career. During this time he went to England and guested at Ronnie Scott’s club in London. Ronnie Scott offered him a residency, but Ian reluctantly declined as he had decided to return to Ireland to complete his medical studies and take his final examinations. He graduated from medical school in 1964, but had to wait 3 months for a vacancy to serve his internship at the hospital of his choice. During this period he played three consecutive engagements almost every night; an early evening theatre show, then the Shelbourne Hotel until midnight, followed by a stint at a nightclub until the early hours. At this time he also wrote, played and directed advertising jingles for RTE as well as soundtracks for award-winning documentaries and drama productions. 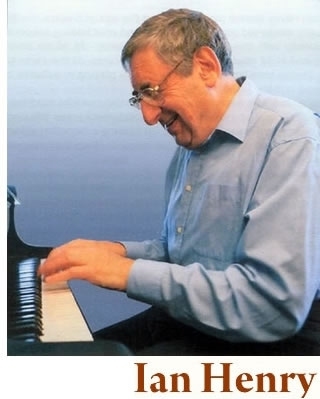 During his one year’s internship he still made time to do some broadcasting and writing arrangements and when in 1965 he moved to London to work as a GP he continued to perform as a freelance pianist and arranger for the 12 years he was in medical practice. In 1978 Ian gave up his medical practice, emigrated to Spain and went back to his first love, music. From Spain he worked all over Europe, including performing in literally hundreds of broadcasts including the prestigious BBC Jazz Club. He also recorded, broadcast and concertised with the Carlos Romanos orchestra, playing both piano and tuned percussion, thus fulfilling a lifelong passion for Latin-American music. Subsequently he invited some members of that orchestra to record his own compositions/arrangements for the Apollo Sound label. During this period Ian went to the USA to study classical piano and to touch base with many of his jazz heroes. In 1989 he returned to London and worked as a locum GP, continuing his musical activities on a freelance basis performing at various venues. (See VENUES page). Ian has given two concerts at the Royal Festival Hall, the first during the George Gershwin half-centenary and the second at the Irving Berlin centenary. A unique feature of these concerts was that the audience was invited to submit requests from a printed list of 100 song titles which Ian then played spontaneously without music. He can play thousands songs from memory and has written a book called ‘Who Wrote What?’ listing most of these songs. In addition to the above, Ian has been the accompanist of choice for leading international stars. (see ACCOMPANIST page). He has been invited to give a Jazz piano master class at the Trinity College of Music (London) and was Musical Director at the Wimbledon Tennis Fortnight and the Berkeley Ball in 1989. When Dustin Hoffman, a great jazz fan and amateur pianist, came to London to play Shylock in Shakespeare’s Merchant of Venice, Ian gave him jazz piano tuition. Ian now lives on the Isle of Wight.